The denim is a medium weight fabric. This is the V neck style with contrasting facing, turned cuffs and contrasting deep hem . 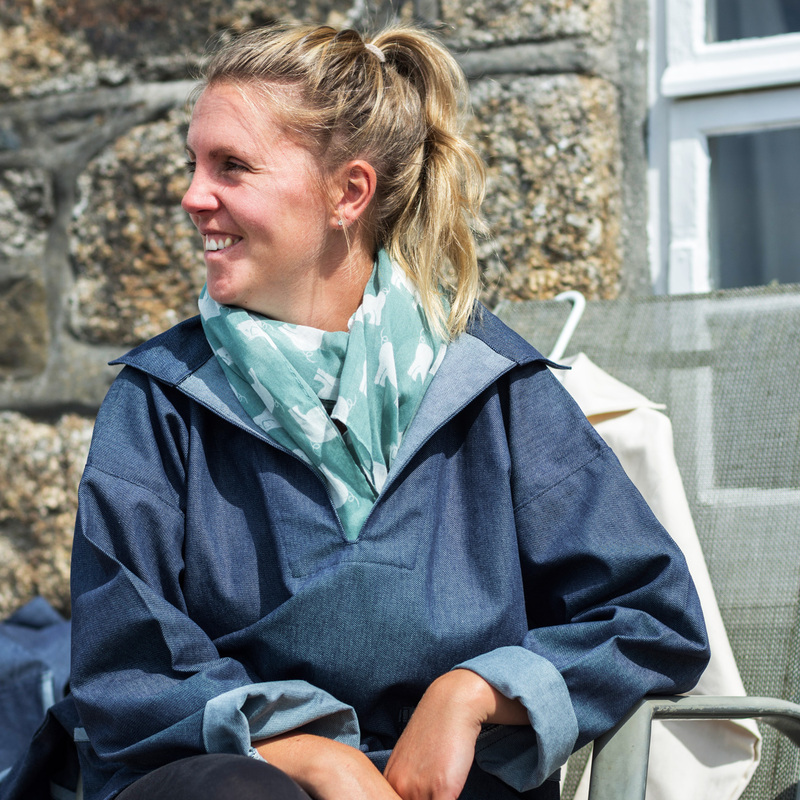 The pockets are larger than the standard smock and have the angled top which makes them more comfortable and easier access. 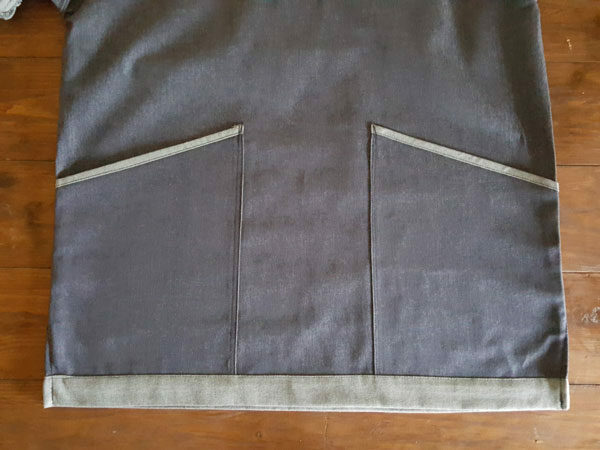 Having the deeper hem you will not get the characteristic turning of the hem. 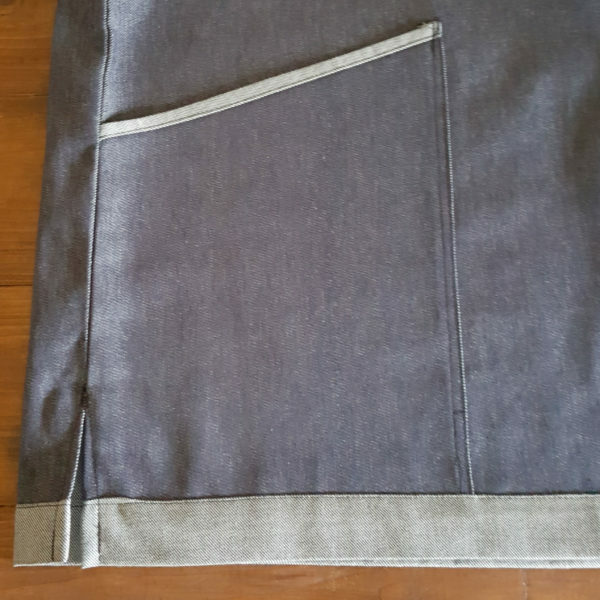 They are fully over locked and the pockets are double stitched for extra strength. They are longer than the standard style smock and have a slit on the sides for more comfort when sitting down. Made from 100% cotton. Fully washable. All prices include UK postage. Worldwide orders extra charge; £6- £15 depending on size of order. Orders sent out within 7 days were possible. Next day service available at extra cost.